Magazines may express interest by March 15 to be considered to host one of the Magazine Grands Prix fellows maggrandsprix.ca/fellowships. It's part of the new awards program run by Magazines Canada. The fellowships are open to Canadian journalists, landed immigrants, students and graduates as they work on stories that explore issues that matter to our country. The inaugural theme for the 2017 Fellowship is Indigenous Issues. This year's inaugural fellow will be announced April 27 at the awards program gala. The successful candidate will choose a host magazine from the eligible expressions of interest. The fellow will work remotely or on-site, learn from lead mentors at a host publication, and gain work experience in the magazine business. "Popert preserved the organization when The Body Politic, its key title at the time, ceased publication. He recreated the Press as an influential and financially viable enterprise and retires after overseeing an era of tremendous growth and change." there wasn't a voice representing the political and social concerns of gay men and lesbians, a group of Toronto activists launched the gay liberation newspaper, The Body Politic, in 1971. In 2008, The Body Politic was named by Masthead magazine as one of "Canada's 20 most influential magazines of all time." "Over four decades, PTP grew from a small grassroots operation to one of the most diversified LGBT multimedia enterprises in the world, with a roster of brands ranging from the Xtra publications in Toronto, Ottawa and Vancouver, to online publishing and television production." Most of PTPs publications made the shift to digital delivery on Popert's watch. "We understand the challenges, and as a person who's been in this industry for a long time, I certainly have deep respect and sympathy for all the freelancers out there. Like every other business person, we have to manage our individual challenges as best we can." -- Venture Publishing (Edmonton) president Ruth Kelly, quoted in a CBC online article about slow payments to freelancers. There’s an old adage that goes: “Volunteers do not necessarily have the time; they just have the heart.” It should, therefore, come as no surprise that Joyce Byrne’s heart is full of love for magazines – ink runs through her veins. Byrne, a respected industry leader and generous mentor, is known and celebrated for her commitment to advancing the magazine industry as a whole – not just the publications for which she is on the payroll. She has earned a reputation of one of the most tireless champions, promoting magazines as vital and essential cultural industry products, as well as the publishers, staff, freelancers and industry partners who contribute to them. Many people aspire to share their passion with the masses by creating a magazine; few find long-term success. Katharina Doyle is one of the few. The co-founder and publisher of Creative Scrapbooker (formerly Canadian Scrapbooker) has been a passionate scrapbooker since the birth of her children. Yet the idea of expanding that love to the pages of a magazine never crossed her mind until her now-business partner Jackie Ludlage proposed the idea. Today, Creative Scrapbooker has a circulation of nearly 26,000, including a large and growing market in the United States. Ten years after the first issue was released under the title Canadian Scrapbooker, the magazine was re-branded as Creative Scrapbooker to meet North American and global demand. Named editor of the year was Lisa Cook, who started as editor-in-chief at New Trail just over four years ago. Since then, the magazine has won more than 20 awards, including four National Magazine Awards and was named the Alberta Magazine Awards’ 2016 Magazine of the Year. Cook’s colleagues credit her vision, creativity, mentorship and journalistic passion for transforming the 96-year-old University of Alberta alumni magazine into a popular general-interest magazine whose readership reaches well beyond that of the typical institutional alumni periodical. That said, she has never lost sight of the magazine’s mandate to “entertain, illuminate and engage” U of A graduates around the world. Cook has broken down silos and fostered strong relationships across departments and faculties to ensure New Trail is not only an educational and entertaining read, but also a viable tool that helps to achieve the university’s strategic goals. Best new magazine finalists are Canadian Rockies Annual, Dote and The Yards. Magazine of the year finalists are Avenue Edmonton, New Trail and Westjet magazine. 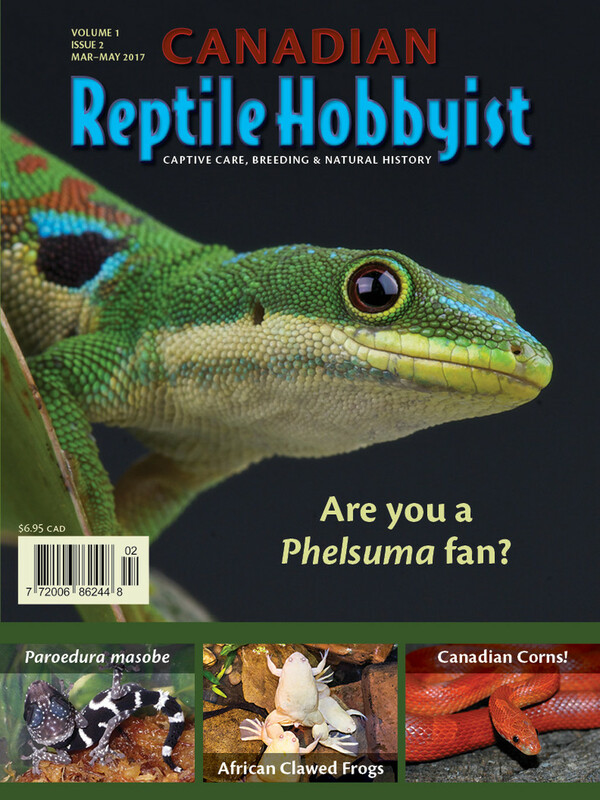 Canadian Reptile Hobbyist Magazine appeals to reptile and amphibian enthusiasts in Canada and everywhere. General care articles are included as well as more in-depth topics from experienced breeders and researchers. 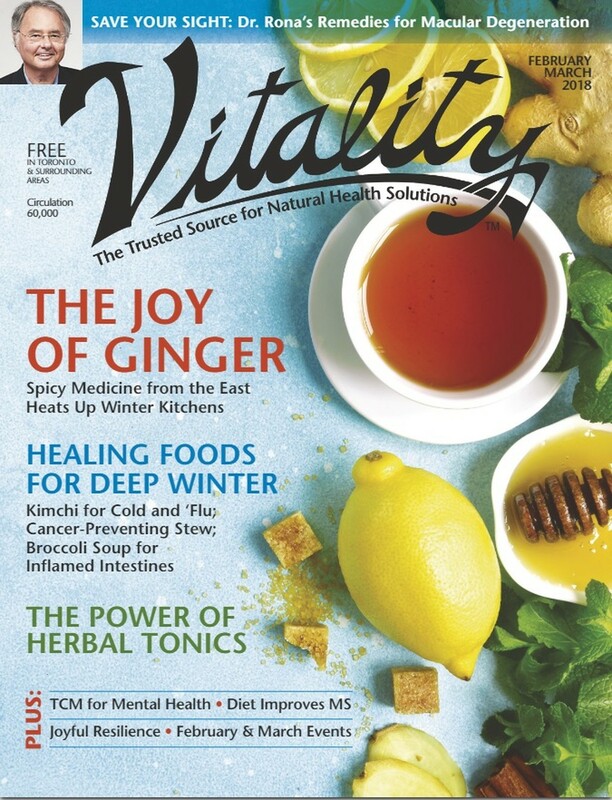 Vitality Magazine is one of Canada’s largest publications on natural health, alternative medicine and green living. It is available across Ontario. The Canadian Society of Magazine Editors (CSME) is diving into the issues surrounding magazines going "digital first". The panelists will be Laura De Carufel, editor-in-chief of The Kit (a magazine that was initially a digital-only publication); Lianne George, editor-in-chief of Chatelaine, and Edward Fraser, managing editor of digitally-minded The Hockey News, will talk about practices from their magazines and answer questions. A reminder: the next day is the deadline for the 2017 Canadian Editors' Choice Awards by the Canadian Society of Magazine Editors (CSME). Entries due by 4:30 p.m., Friday March 3. The 40th annual National Magazine Awards report in a blog post that they have received more than 1,000 submissions from 197 Canadian magazines, including more than 200 freelancers. The post thanks 120 volunteer judges. Nominations for the awards will be announced April 20. The awards foundation is accepting nominations for its Outstanding Achievement Award and the new International Impact Award until March 1. Steven Sandor, Avenue Edmonton,"Are we there yet?" Taylor Lambert, Swerve, "Coming through slaughter"
Michael Hingston, Swerve, "Greetings from the fourth dimension"
Sid Marty; Evan Osenton, editor, Alberta Views, "In praise of protest"
Max Fawcett; Evan Osenton, editor, Alberta Views, "Is it too late for the Heritage Trust Fund?" Dawn McCoy, Canadian Cowboy Country, "Len Perry"
Tadzio Richards; Evan Osenton, editor, Alberta Views, "Our vital forests"
Tera Swanson; Meghan Ward, editor, Canadian Rockies Annual, "Patterns of the past"
Samantha Power, Avenue Edmonton, "The Art of Reconciliation"
Omar Mouallem, Avenue Calgary, "The fight of his life"
Magazines Canada is polling its members to determine what they would like to see in an industry internship program. It's not before time. The feasibility study is being funded by the Ontario Media Development Corporation and the goal is to find out from member publishers how young, talented people can get an opportunity to build careers in magazine publishing. "In this anonymous survey, we’ll explore your past experience with internships, what you see as the needs, gaps and opportunities, and get your feedback on a few potential models for how an industry paid internship program might work," the association says. "Ontario’s rules are clear - regardless of your job title or what you agreed to when you started - if you perform work for somebody, you are protected under the Employment Standards Act (ESA)." Some publishers simply stopped taking on interns unless they could be done under cover of being part of the curriculum of a certified educational institution. Students still didn't get paid for the work they did, but it was apparently allowed as part of learning or work experience. Other publishers or related organizations (e.g. the National Magazine Awards Foundation) continued to or began paying at the minimum wage (roughly $11 an hour). It's not known what questions are being asked in the survey or what the timeline is for making use of what's learned. "We seem to suddenly have a plethora of interesting, smart people determined to make new ideas work in order that they and their families might enjoy our enviable quality of life here." After 17 years at TC Transcontinental, Ted Markle has become chief operating officer of Annex Printing and Publishing, including Canada's largest business-to-business publishing company, Annex Business Media. Markle was president of TC Media from 2013 to 2016 and had extensive experience on the printing side in various executive roles. Scott Bullock's Covers Sell blog reports that Harrowsmith's 2016 Gardening Digest has established a new, all-time sales record in 2016, up by 22% from 2015. The 2017 edition (right) goes on sale on newsstands soon. The annual got leaner and more efficient, too: its draw trimmed by 7% and its efficiency up by the same amount. "We're being called to rise up and raise our level of consciousness and connect with other human beings.The level of opportunity that we're sitting on right now as a country and a generation is immense." The photo shoot is accompanied by an interview with editor-in-chief Noreen Flanagan. 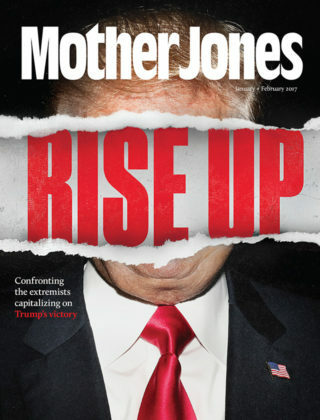 Mother Jones magazine was named magazine of the year, the top prize in the U.S. National Magazine Awards which were presented Tuesday in New York. "The 41-year-old bimonthly, which also won in the Reporting category for its blockbuster exposé on private prisons, beat out fellow Magazine of the year finalists The New Yorker, Cosmopolitan, The California Sunday Magazine and New York magazine," according to a post on Adweek. New York tied for the most awards won, claiming best magazine section (for its “Culture Pages” department), single-topic issue (for the Oct. 3-16 issue, “Eight Years in America”), video (for “Guns & Empathy”). The New York Times Magazine won three Ellies (named after the Elephant sculpture created for the award winners by sculptor Alexander Calder (shown)): feature writing (for “I Have No Choice but to Keep Looking” by Jennifer Percy), public interest (for “Worlds Apart” by Nikole Hannah-Jones), and essays and criticism (“David’s Ankles” by Sam Anderson). First-time winners included The Marshall Project (general excellence in literature, science and politics), Good (personal service) and Huffington Post Highline (multimedia). The Canadian Society of Magazine Editors (CSME) has put out a call for entries to the Editors' Choice Awards, to honour and celebrate the best work of editors within the industry. The deadline for entry is Friday, March 30.Winners will be announced at the Editors’ Gala event in June. 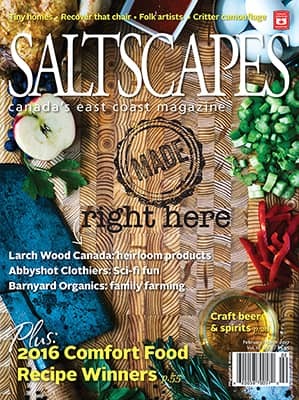 Winners in each of the Small (under 60,000), Medium (60,000 to 99,999) and Large (100,000+) circulation categories, as well as the Trade and Custom magazine categories, each earn the right to use the Editors’ Choice Award logo on their cover for a year. There are also awards for Best Tablet, Best Website Editorial, Best Front of Book, the Jim Cormier Award for Display Writing, Best Art Integration and the coveted Editor of the Year. Entries are free with your 2017 CSME membership. Visit canadianeditors.com to become a member, for complete entry guidelines, and to download your entry form. BPA Worldwide has announced the launch of a private digital ad marketplace (PMP) for its business-to-business members. It is the outcome of research among publishers and marketers, establishing how to provide quality data and efficiency in the digital marketplace, said Glenn Hansen, the CEO. “BPA’s PMP of audited member sites including assurance around data integrity will be the only industry owned, not-for-profit, tripartite membership organization – B2B advertisers, agencies and media owners – to provide this service,” Hansen continued, in a release. Alberta Magazine Awards Gala: The annual Alberta Magazine Awards program honours the best in the industry and gives the region's magazine professionals a chance to commend the work of their colleagues. Awards will be given out in 25 categories, recognizing innovation and creativity in the industry in the past year. Finalists will be announced in early February. Silent Auction: Bid on items in support of the Amber Webb-Bowermann Memorial Foundation, which provides financial assistance to emerging Western Canadian journalists and artists. Have something to donate? 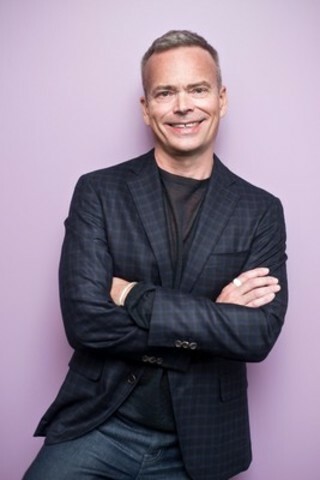 Ian Portsmouth, who was group publisher of Rogers Media's business publications (among them Canadian Business, PROFIT, MoneySense) until they were recently discontinued as print products, has joined Newcom Business Media Inc. He has been appointed managing director of the Insurance Media Group, including Canada's largest insurance title, Canadian Underwriter, Claims Canada and several blogs, websites and services for the insurance industry.